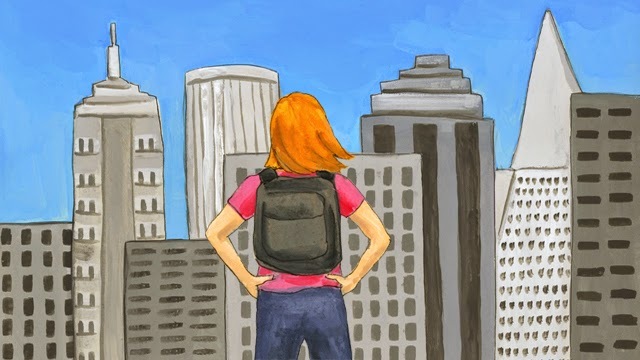 A few years ago, psychologist David Yeager and his colleagues noticed something interesting while interviewing high school students in the San Francisco Bay Area about their hopes, dreams and life goals. What’s more, the teens with these “pro-social” types of goals tended to rate their schoolwork as more personally meaningful. Given this information, Yeager and his colleagues wanted to know: could such a bigger sense of purpose that looks beyond one’s own self-interests be a real and significant inspiration for learning? They believe the answer is yes. And, they’ve devised a new social psychology intervention to foster a “purposeful learning” mindset as another way to motivate pupils to persevere in their studies. Yeager, now based at the University of Texas (UT) at Austin, conducted the work in collaboration with UT colleague Marlone Henderson, David Paunesku and Greg Walton of Stanford, “grit” guru Angela Duckworth of the Univ. of Pennsylvania, and others. They recently explored purposeful learning in a series of four studies and put their intervention to the test against one of the banes of learning: boredom. Initial promising results suggest the psychology strategy could encourage pupils to plug away at homework or learning tasks that are challenging or tedious, yet necessary to getting an education that’ll help them reach their greater life goals. Can Drudgery Be Eliminated from Learning? The idea of drudgery in schoolwork is anathema to many progressive educators these days. Game-based approaches to learning are far favored over “drill-and-kill” exercises. And while an emphasis on fortifying students’ academic “grit” and self-discipline in their study habits has been explored in depth, it’s controversial. Along with criticisms about deeper implications relating to race and poverty, some observers say the buzz over grit neglects the need to make dull classroom lessons more compelling to today’s learners. It’s complicated, though. At Stanford’s Project for Education Research that Scales, Paunesku believes that teachers and educators should make learning more engaging wherever possible. “However, the reality is that schoolwork is often neither interesting nor meaningful,” he said — at least, not in a way that students immediately get. “It’s hard for students to understand why doing algebra, for example, really matters or why it’ll help them or why it will make a difference in their life.” Yet, he noted, such work is often key in building basic skills and knowledge they’ll need for a successful future. As a baseline, the research team first investigated a mindset of “self-transcendent” purposeful learning by surveying 1,364 low-income high-school seniors at 10 urban public schools in California, Texas, Arkansas and New York. The teenagers sat down at a computer and took an “academic diligence task” devised by Duckworth and Sidney D’Mello of the University of Notre Dame. For a few minutes, the participants had the choice of either doing lots of simple, tedious math subtraction problems, or watching YouTube video clips or playing Tetris. The students with a purposeful-learning attitude (who agreed with socially oriented statements like “I want to become an educated citizen that can contribute to society”) scored higher on measures of grit and self-control than classmates who only reported self-oriented motives for learning such as wanting to get a good job or earn more money. The purposeful learners were also less likely to succumb to the digital distractions, answering more math problems on the diligence task — and they were more likely to be enrolled in college the following fall, the researchers found. Next, a pilot experiment tested the sense-of-purpose intervention to see if it would improve grades in math and science (two subjects often seen as uninteresting): The researchers asked 338 ninth graders at a middle-class Bay Area high school to log online for a 20- to 30-minute reading and writing exercise. Another ninth grader wrote that having an education “allows me to form well-supported, well-thought opinions about the world. I will not be able to help anyone without first going to school." A few months later, at the end of the grading quarter, the researchers observed positive effects from the intervention, most notably in the weakest students: Underachieving pupils saw their low GPAs go up by 0.2 points. That’s a helpful improvement, said UT Austin’s Henderson, because many pivotal educational decisions hang in the balance based on a GPA cutoff. A few tenths of a point can make or break a student’s acceptance into a program or a school, which could in turn affect what type of job she ends up getting and ultimately, the salary she earns, Henderson said. “GPA is really a better long-term predictor of not just educational outcomes but all kinds of positive life outcomes,” commented education researcher Camille Farrington of the University of Chicago. A 0.2 point gain in GPA could bump a B to a B+ or a B+ to an A-, she noted, which is an important impact given how brief and relatively inexpensive the sense-of-purpose treatment was. Many other education interventions take a lot more time, energy and money, yet “don’t give any more of a bump than that,” she said. As with other kinds of academic mindset strategies, the benefit from the sense-of-purpose intervention “almost seems like magic,” Henderson said. But it’s not, (as Yeager and Walton have previously elaborated). The research team ran two other experiments (with college undergrads) that helped unpack how the intervention might work: by motivating students to engage in deeper learning, and by bolstering self-control in resisting tempting distractions from schoolwork (as measured again by Duckworth and D’Mello’s diligence test). What a purposeful mindset does for students is that “when they encounter challenges, difficulty or things that could potentially be roadblocks to learning, it motivates them to persist and barrel through,” Henderson said. The psychology researchers don’t know how long the positive effects last, but they speculate that just a small shift in students’ attitudes could spark a chain reaction of stronger academic performance and confidence that builds upon itself and endures over time. Other, self-oriented goals such as making money or getting out of their parents’ house didn’t seem to inspire students as much as the self-transcendent goals did in the studies. That’s worth noting, Farrington said, especially considering that youths from low-income backgrounds are often exhorted to study hard so that they can get out of their disadvantaged neighborhoods and go to college or find a good job. If the research results are right, these kids may get more motivational mileage out of the goal of making a meaningful contribution to the world. “That’s consistent with what we know in social psychology: that people are motivated by, they care about having meaning in their life,” she said. The sense-of-purpose work is just in its beginning stages, Henderson said, with the psychologists still tinkering to improve the intervention. They want to explore whether the technique can reduce student cheating, and whether teachers can “activate” the purposeful-learning mindset by writing simple, subtle and carefully tailored messages of feedback on classwork, he said. The experiments with the new strategy beg the question of whether the researchers are implicitly endorsing drill-and-kill-style learning. They aren’t, Paunesku is quick to say. He’s all for project-based learning and other efforts to make school more relevant and alluring for students. Yet, he added, it isn’t practical or possible to render every lesson or assignment in K-12 “super fun and game-y” for kids — and even if it were, doing so could be a disservice to them later. What would they do when they get to law school and are faced with having to memorize long lists of laws? Or when they land a job that calls for mastering information that no one has “gamefied” to make it exciting to learn? Students go to school not just to learn specific facts, he pointed out. They’re learning how to learn, how to practice self-discipline and motivate themselves through frustrating roadblocks, and thus are preparing for adulthood. That’s important even if it isn’t always fascinating, he said. But having that bigger sense of purpose, that personal mission of making a positive difference in the broader world, might help students to find meaning in difficult or mundane schoolwork. “If you think about it the right way, you can actually be motivated and you can find it interesting, even if on the surface it’s not fun,” Paunesku said.